Paid-for TV, radio and online advertising have their place, and in an ideal world every business would have the opportunity to spread their message far and wide using the mass media. In reality, the costs involved are often too high for a small company or sole trader, with even a modest advertising campaign in the local press running into many hundreds of pounds. To make matters worse, it is often difficult to assess the effectiveness of advertising. If the above is crippling your marketing activity, don’t despair. There are plenty of ways to get your message across to the people who matter, and without breaking the bank. Here are ten marketing tips that will cost you little – if anything – to roll out. Otherwise known as meeting people! Whenever you are at a social occasion (dinner party, work outing, local fayre, etc. ), be sure to let plenty of people know what you do. Not only does it help you with breaking the ice, you could pick up some new customers along the way. Always make sure you are well-presented and have a handful of basic, economical business cards with you. You should also research formal business networking organisations in your area. There are often membership fees to pay but, if you are lucky, you may be able to join at a basic free or low-cost level. Rather than spending money, donate some of your time to performing at a local village fayre, summer fete or sports fundraising event. Again you should bring plenty of business cards and, ideally, flyers/leaflets to hand to interested parties. As well as getting out and about to meet the locals, you might be fortunate to find yourself getting some free publicity via the local newspapers or radio station. And it always feels good to support a good cause. Carefully select a relevant local partner and offer them something in return for spreading the word. For example, you could present the local sports shop with discounted membership vouchers that can be given out with every order over £15. Everyone likes to feel a bit special, so find a business in your area where you think your classes could appeal. Perhaps there is a manufacturing firm that provides lots of work for local people; pop in and offer staff an exclusive VIP membership card which will give them a discount or some other perk. Add an expiry date if you want to encourage a timely response. Put on a social community event where people can turn up for free and ask questions, tour the premises, etc. 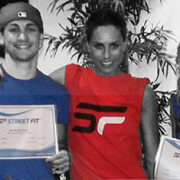 If you already have classes running, organise a Street Fit® demonstration so people know what to expect. Incentivise your event by offering something of value to people who show up, for example free refreshments or an exclusive gift. We’re not suggesting you turn up at a rival class with a Fedora hat and a trench coat, but take every opportunity to discover what your competitors are doing and how they are promoting themselves. More importantly, identify gaps in what they are offering. Do all other classes have to be booked for a number of sessions? Consider offering drop-in sessions. Are there only mixed classes available in your area? Set up a men’s-only group. Could you be shooting yourself in the foot with a poorly-designed website? Whether you have your own site or are promoting yourself in a directory, look at your profile with a fresh pair of eyes. How long do you think it would take a potential customer to find your prices, location, telephone number and email address? Ask a friend or family member to note down all those details and time them. 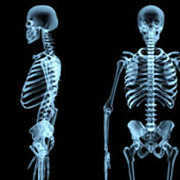 If they are still struggling after two minutes then you probably need to rearrange and simplify your information. Download time is another issue, especially for those with slower computers. Research has shown that if a page takes a few seconds too long to load, people will usually click away. A major reason for pages loading slowly is if they’re packed with multimedia content. Consider moving your ads, videos, music etc. to a separate page and leave the home page clutter-free. There are plenty of free blogging platforms out there, which means free online marketing. What’s more, posting regularly – weekly at the very least – will improve your search engine rankings, making you more visible to people searching for dance classes online. Becoming an authority on your special topic (whether that is dance, fitness or nutrition, etc.) will also enhance your credibility.